As a Constitutional Conservative, Nathan draws heavily from his experiences in the formerly communist- and currently socialist- nation of Romania to inform people of the failures, perils, and evils of socialism. His desire is to serve the people, whether it is the impoverished people in Romania, or the Oklahomans of the 33rd Senate District. Visit Nathan Dahm’s website for more information. Our conservative coalition is growing by the day. I am proud to announce we have received the endorsement of the Republican Liberty Caucus! For too long, the Republican caucus has been filled with what I call “campaign conservatives.” You know the type. These are the politicians who will do and say anything to get elected, promising you they are conservatives, and then turn around and recklessly grow the government. My conservative coalition is growing because I have a proven conservative record, not just “campaign conservative” promises. NRA Endorsement goes to Nathan Dahm! Today, I’m proud to announce that I have received the exclusive endorsement from the National Rifle Association in our race for Congress. There’s a reason the NRA has given me their full support. Time and again, I have supported the 2nd Amendment — not with just words, but with action. This endorsement by the NRA is further proof that we need to elect conservatives who will back up their campaign promises with real action. In two short weeks, conservatives will head to the polls in Oklahoma. We’re not going to waste one minute. The Oklahoma legislature passed my Senate Bill 1212 known as Constitutional Carry, guaranteeing every law-abiding Oklahoman has the ability to defend themselves without the burden of a government-issued license. I believe the 2nd Amendment and the right to self-defense is fundamental. That’s why I proudly lead the charge to secure your rights and passed Constitutional Carry. Broken Arrow—Senator Nathan Dahm (R-Broken Arrow) congratulated Congressman Jim Bridenstine Friday on his presidential appointment to NASA administrator. Bridenstine previously served as executive director of the Tulsa Air & Space Museum & Planetarium before being elected to Congress. Dahm says Bridenstine’s new role at the National Aeronautics and Space Administration will not only positively impact the nation, but also be beneficial to the city of Tulsa with its large aerospace industry. Broken Arrow — Senator Nathan Dahm (R-Broken Arrow) today announced his candidacy for Oklahoma’s First Congressional District. Surrounded by over 100 supporters, Dahm said he has a passion to serve God by serving other people, and believes running for Congress is his next step in that service. Oklahoma’s First Congressional District will be vacated by current Congressman Jim Bridenstine in 2018. 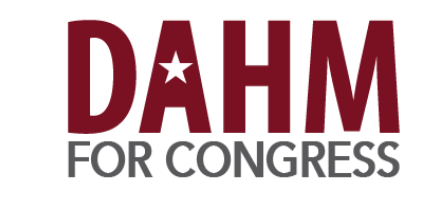 If elected to Congress, Dahm said he wants to focus on free market principles as well as openness, transparency, and accountability in government, which allow the opportunity for success. Many people have asked about the seven State Questions on the November 8th ballot. This is an overview only and you will have to make the final decision on how you intend to vote for yourself. In this post we have provided an overview as well as links to the official language (not just the summary on the ballot) and links to both a conservative think tank and a liberal think tank to provide other perspectives on the state questions. Hopefully this helps you make an informed decision before you vote….